Selected links that are useful for each stage of the comic/graphic novel-making process. If you're just getting started, or want quick resources, look for the before an entry. These are resources that provide a good overview, while the rest go more in depth and into technical details. See also the Tips I post in the blog. Note: These are all outside sites and sometimes they disappear without warning (sniff!) If you get an error message please let me know and I'll clean up the listing. Writing well,a brief writing tutorial in 6 parts. "What the heck makes a good character?" A brilliant rundown. Droemar has an excellent "5 tips on Writing" series covering various aspects of writing that apply to novels and comics equally: Mistakes Young Writers Make, Tips For The Writer-To-Be, POV, World building part 1 and part 2, Mary Sue avoidance, villains, heroes, romance and love interests. My personal work process for The Making of a Page, from idea to finish, is of course not a method that suits everyone but I recommend the read for the numerous insights and tips included. Advanced layouts: Paneling Outside the Box: A highly inspirational and eye-opening read, by the same. Different ways of holding a pencil for different purposes: page 1, page 2, page 3, page 4, page 5. 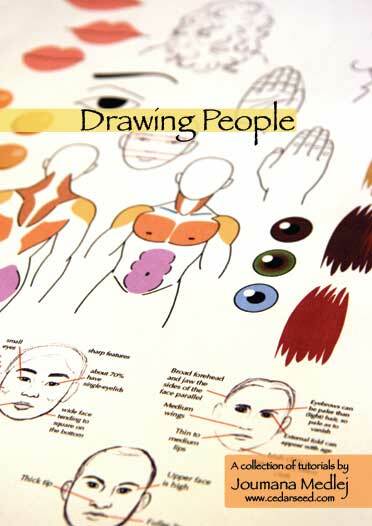 My drawing tutorials are the web's vastest collection of detailed guides for drawing people and animals. What-i-do-is-secret has excellent reference sheets that include good tips to bear in mind. A tutorial for tigers, only covers a few details but they're useful. Droemar's horse tutorials: Part 1, Part 2 and Riding Tutorial. Creases and Folds by keales. Clothes and Folds by kitten-chan. The Perspective Tutorial: Excellent, as it covers not only 1- and 2-point perspective but also perspective applied to colors, and such. Perspective and Composition examined together, Part 1 and Part 2 by fox-orian: Another impressive resource. Inking with pens and a lightbox. Digital inking using the Brush tool. PSG Art tutorial: A one-stop, quick reference for a number of useful notions – Light and shadows, colors, composition, perspective, line art, common mistakes. Digital coloring video tutorial – 36 minutes long, downloadable in 3 parts, probably best for fast connections! A quick guide to making zoom lines. Light - a detailed tutorial: Possibly everything you need to know about how light behaves in the world, abundantly illustrated. Basic planes of the face and how they are shaded under different light angles. Blambot is an excellent source of professionally designed comic book fonts of all types. Enough free fonts are offered to make everybody happy. 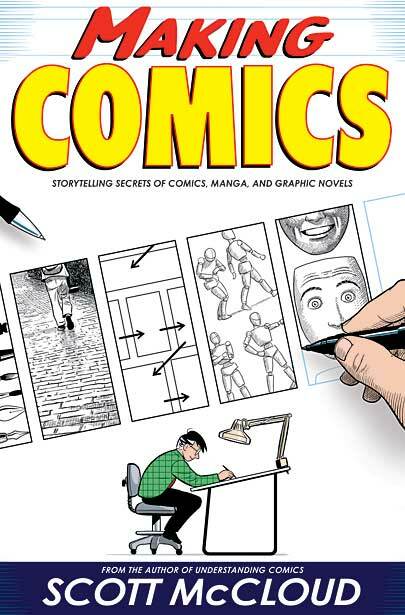 Comics Grammar and Tradition by Nate Piekos: A breakdown of the Unwritten Rules of Comics Lettering, or Comics Grammar, by a professional letterer. The 4 areas of a page: something you MUST know if you're working for print. On Publishing and Vanity by Peter David: A good read to put things in perspective before you get convinced that publishing is a must without which you have no worth as a comic author. The Definitive List of Comic & Graphic Novel Publisher Submission Guidelines, maintained by Jason Thibault: fantastic list of active publishers, briefly stating their submission requirements and linking straight to their submission pages. Getting your comic under a label. Breaking In: Shane McCarthy shares a wealth of good advice for writers trying to break into the comic industry. Resources: A list of suppliers used and approved by Webcomics Marketing; includes business card printers, button and sticker makers, bag suppliers, rubber stamps and more. Moo.com: Business cards, min-cards, mini stickers, postcards. KEZ's thesis, The Art of Webcomics is well-worth the read to comprehend all aspects of this emerging medium. It's divided into several blog posts, start from the first (at the bottom of the page). Important consideratiosn for building a good Webcomic website that's also convenient to update: The must-haves, the archives page and tips for your FTP. TalkBack: A free, powerful comment script to add to one's webcomic. Reviews of webcomic hosts: Comic Dish, DrunkDuck, Comic Genesis. Webcomic networking on: deviantART, Twitter, StumbleUpon. Webcomic Marketing: Daniel Davis' blog dedicated to giving practical advice and inspiration for marketing one's work not just online but in real life and at conventions. Marketing and Promotions for Indy Comics Publisher: In-depth interview of several retailers by Kody Chamberlain. For the making, theory and/or appreciation of sequential art. 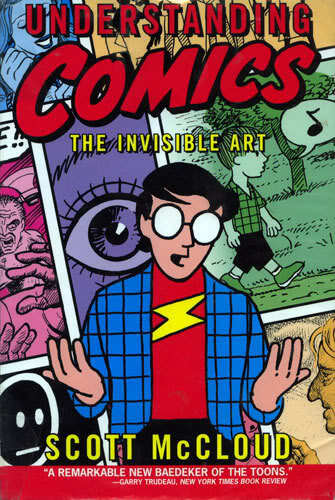 Understanding Comics explains what comics are in all their magical, misunderstood potential. McCloud dwells on what makes the medium of comics distinct from all other art mediums, separating the medium itself from tools and styles. He discusses icons and symbols, which are what makes a comic intelligible, the power of the gap between panels, and other things comic makers need to be aware of . Levels of abstraction, text-image relationships, masking, closure, transitions, controlling the sense of time, color are only some of the topics explored. When I picked up this volume, I already had a solid grounding in comics theory and semiotics, but even so I was surprised, delighted, and inspired to find all these points laid out here, with each page feeling like a revelation or a rediscovery. I re- read it occasionally for pure pleasure and to refresh my memory. Reinventing Comics is "something completely different". It's an essay in comic form about the comic industry as it stands, as it should ideally be, and as it may develop in the future. McCloud points out how comics are not yet exploring their full potential because they're still created them with a mindset tuned into other medias: moviemaking, art or writing. He acknowledges the rise of new medias that should completely revolutionize the way comics are made now they can be taken out of the limitations of ink on paper and into the "infinite canvas" of the web. The first part of the book examines 9 revolutions the comic professionals have been trying to achieve to upturn the status of comics: comics as literature, comics as art, creators' rights, industry innovation, public perception, institutional scrutiny, gender balance, minority representation and diversity of genre. 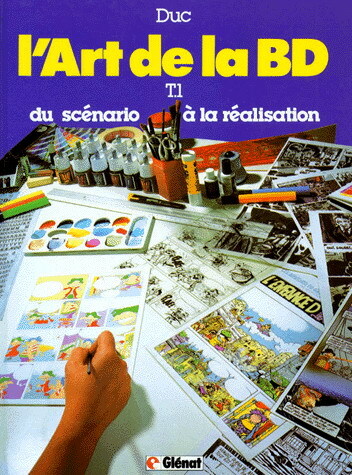 The second part is dedicated to 3 more revolutions that the computer has introduced: digital production, digital delivery and digital comics. 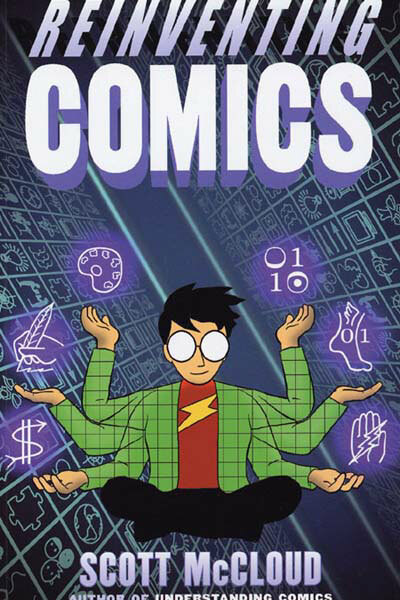 This is a very thought-provoking volume that explores the "greater area" of comics so that between it and Understanding Comics, no stone has been left unturned. 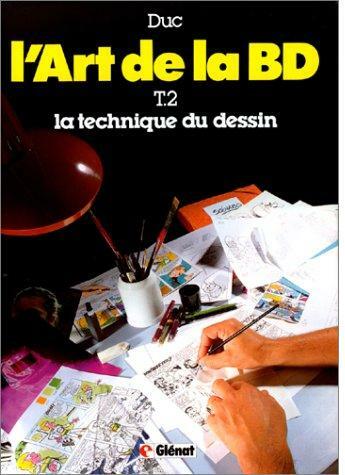 Making Comics is best enjoyed if you do not expect it to be a tutorial or a workbook, or even a reference. Here the comic format does get in the way of laying out essentials in a clear, structured way, and quickly looking up something is all but impossible. It should be read. like the first two volumes, as a graphic essay, and McCloud, as is his habit, goes into great depth and abundant illustration for every topic covered, which it what makes this book so enlightening. I can't even list all the ideas discussed, the table of contents takes up two whole pages, but among them are: the five choices (moment, frame, image, word, flow), clarity vs intensity vs persuasion, character design, facial expressions and body language, the 7 types of word/picture combination, sound effects, backgrounds, western and non-western perspective, traditional and digital tools, discovering your style, old and new markets for comics.